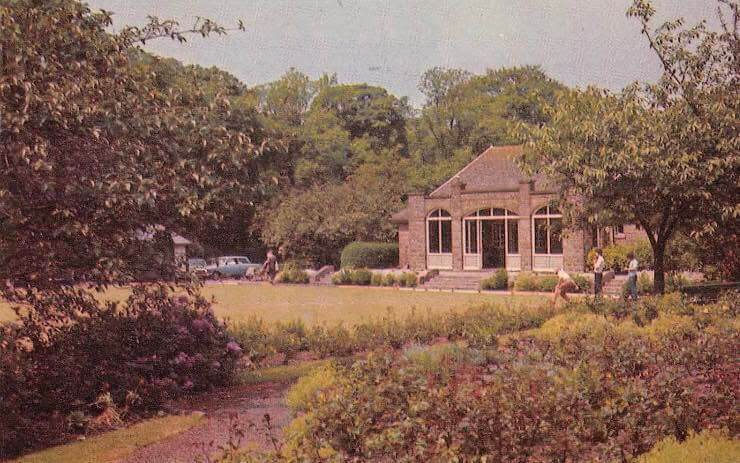 Manor Park Bowling Club is located within the picturesque setting of Manor Park, Glossop, Derbyshire and was opened on 21st May 1931 by Mayor Herbert L Roebuck The pavilion was built a little later in 1932. The club took over the maintenance and management of the existing bowling facilities within the park in 2007 under an agreement with High Peak Borough Council. The club boasts two well maintained bowling greens together with a neat clubhouse and provides a warm and friendly bowling environment that is fully affiliated to the British Crown Green Bowling Association. 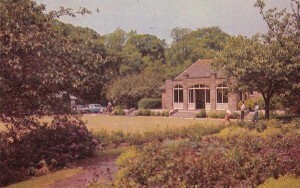 The position of the greens and clubhouse within the park surrounded as they are by mature trees and (in the summer) beautiful flower beds provides an ideal location to play (and watch) the game of crown green bowling. We offer bowling for people of all ages and levels of skill. Teenagers to pensioners, beginners to those with various levels of previous bowling experience. The club currently has 60 members and we are happy to offer friendly advice and guidance to both new and existing fellow members. We are however always looking to encourage new people to join the club as either full or social members. It’s great value being a member as it costs only £25 per year for those of you wishing to play in one or more of the local bowling leagues, or £12 per year if you just want to play socially throughout the season. The club has teams that compete in a number of local bowling leagues throughout the bowling season within the week and at weekends. This offers the ideal environment as a full member for those looking to undertake a level of competitive sport. Click here for more information on the above leagues. Email: bowlingmanorpark@yahoo.com or Telephone Bryan Buckland on 07547 593796 for further information about the club. To accommodate those looking to play more for fun and social contact we offer sessions for social members these again being held within the week and at weekends. Newcomers to the sport of crown green bowling are particularly welcome. To get you started introductory and training sessions are held every Tuesday and Saturday morning throughout the bowling season. Equipment and bowls can be provided at these sessions so that you can try out the sport (and the club) to see if you like it (we think you will). Besides the team and social bowling the club organises club competitions throughout the bowling season that are open to all club members. Trophies can be won at these events which are great fun and enjoyed by all members. The availability of two greens allows the club to offer from time to time green rental for social events and also to offer casual bowling to non members at weekend. These give non bowlers an opportunity to try out the game for a very modest outlay. Please peruse the rest of this website to find out much more about the club and the game of crown green bowling.